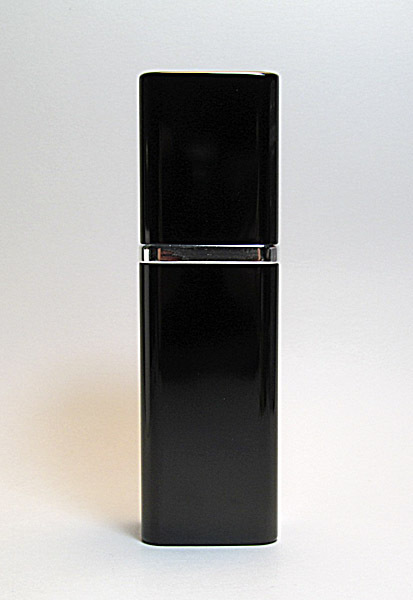 Material: Metal Capacity: 30 ml. 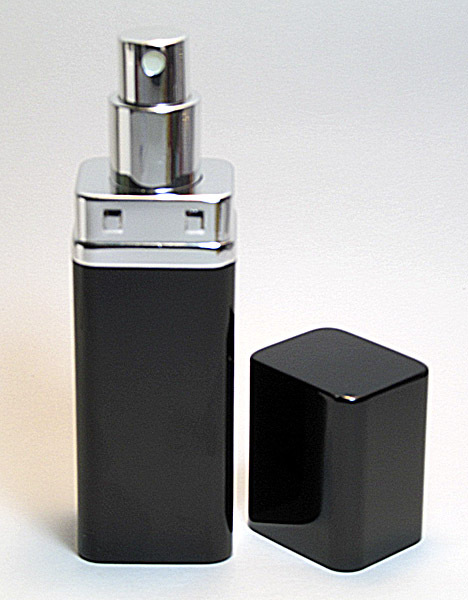 Size: 37 mm x 30 mm x 124 mm Finished: Square shape in Black color with silver colored collar and silver pump with glass bottle inside. Feature: multiple anodized and powder coatings to produce stunning colored effects and scratches resistible. 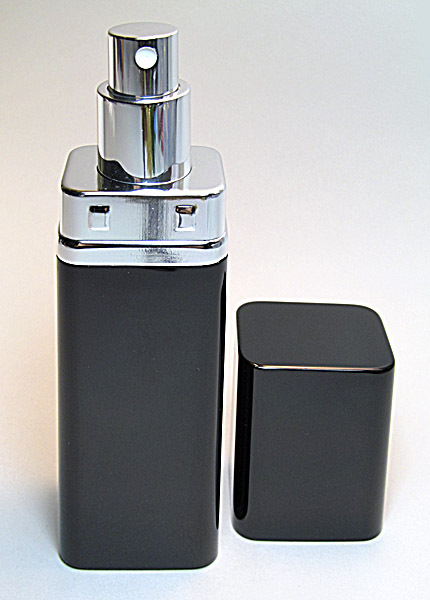 Premium atomizer pump made from France, the micro fine spraying without gas. 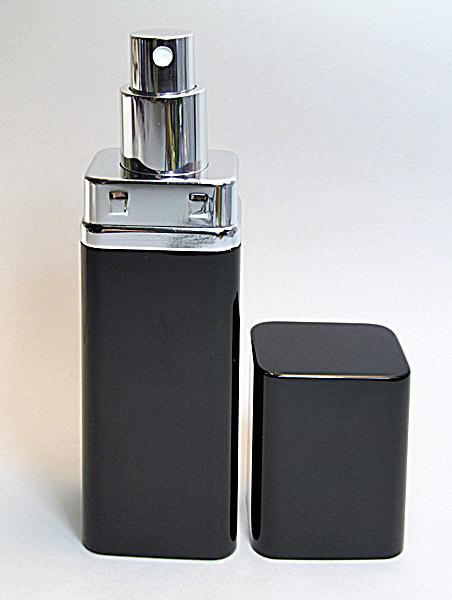 and do not denature perfume and are always refillable, reliably leak proof and convenience to carry. Small funnel attached, Colorful box packed.